Episode No. 70 of The Modern Art Notes Podcast features curator and artist Leo Rubinfien and artist Gary Simmons. 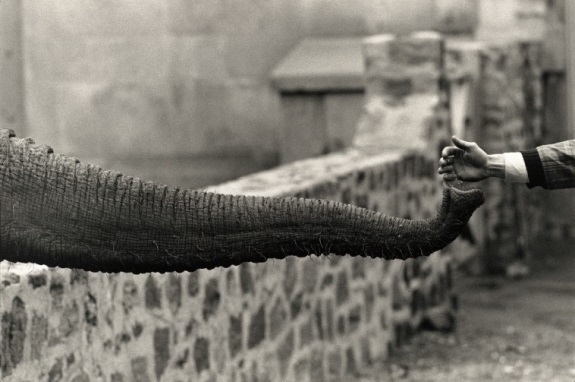 Rubinfien curated the Garry Winogrand retrospective opening this weekend at the San Francisco Museum of Modern Art. 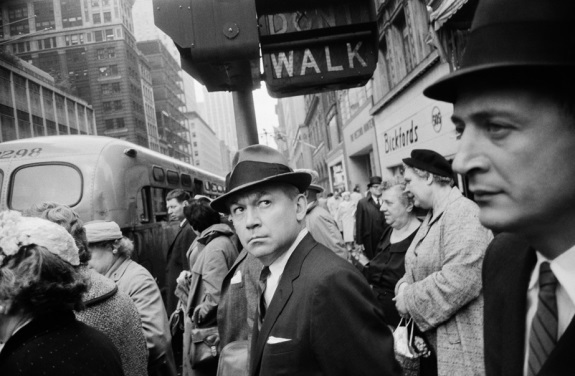 Winogrand’s pictures, typically taken with a hand-held camera, are classics of the street-photography genre that dominated American photography in the 1950s and ’60s. They captured American prosperity, the flight to the suburbs, the tumult of the Vietnam era and the retreat of Americans into a kind of self-interested hedonism in the nineteen seventies and early eighties. The exhibition, which was co-organized by the National Gallery of Art, includes more than 300 pictures; the Yale University Press-published catalogue that accompanies the show includes more than 400. The book also includes numerous essays on Winogrand’s career and influence, including a particularly excellent essay by Rubinfien. On the second segment, artist Gary Simmons talks about his “Focus” exhibition at the Modern Art Museum of Fort Worth. It’s on view at the museum through March 14. Simmons’ work typically deals with American history, race and class through paintings and installations that emphasize movement and memory. The Fort Worth show includes only the second installation of one of Simmons’ most significant works, Subtlety of a Train Wreck. Air date: March 7, 2013. 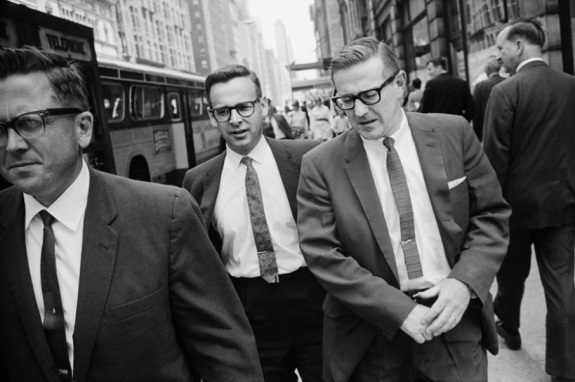 Garry Winogrand, New York, 1962. 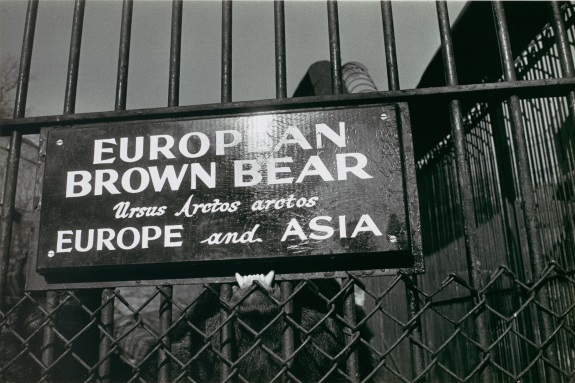 Garry Winogrand, New York, Central Park Zoo, 1962. Garry Winogrand, location unknown, 1963. 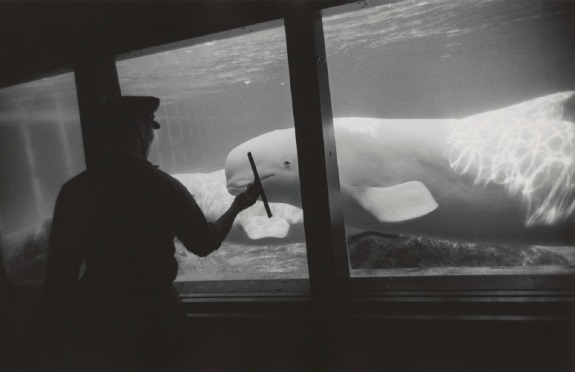 Garry Winogrand, New York Aquarium, Coney Island, 1967.